Posted on Mar 26 2018 - 9:57am by L.
Maybe the title should be “do your job”! I am sure pilots are doing all kinds of things in the cockpit that would scare passengers if they only knew. Examples include; playing video games on their iPads, reading newspapers, and taking turns to get some sleep. I get it… but there is an old ancient Estonian saying that goes something like this – “You can pee in the swimming pool. Just don’t do it from the diving board”. Be a bit less obvious perhaps?! However, if we are to be totally honest, these planes aren’t needing much input from the pilots except for take-offs and landings. So, what exactly did these geniuses do? 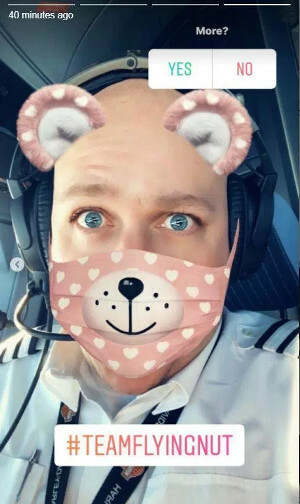 EasyJet captain Michel Castellucci posted Snapchat videos that showed him and the other pilot making videos at 30,000 feet on a flight from Paris to Madrid. He even took it one step further and added polls to see if his followers wanted more of these types of videos. SMH.